AS Roma versus Manchester United FC. 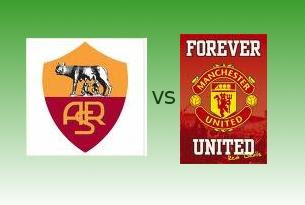 Will AS Roma take their revenge from their 7-1 defeat against Manchester United? Now that AS Roma will face Manchester United in the quarter finals of the Champions League, will Roma take their revenge from their 7-1 defeat against Man. United? Aside from the Champions League title that they are heading to, Roma is now on a role to avenge the humiliating defeat against United during their match for a place in the semi-finals of the last Champions League last April 10, 2007. We will just see it in match this April 1, 2008 in Stadio Olimpico, Rome.